Chester race course, also known as the Roodee is said to be the oldest racecourse that’s still in use today, in England. Not surprising as the earliest horse races at Chester date back to the early 16th century. The history books suggest horse racing was introduced to Chester in 1539, to replace the Goteddsday football match. The match was banned, due to high-levels of player injury and the ramifications that came with it. The Mayor of Chester at the time gave his consent to the first recorded horse race at Chester, and his name – Henry Gee, led to the use of the term “gee gee” for referencing horses.Races at Chester took place on an open field until 1817, when their first grandstand was completed. The grandstand had to be rebuilt in 1985, due to an arsonist raising it to the ground.Nowadays, Chester racecourse is pivotal to the local economy and has become a focal point throughout the year. Placing a bet at Chester races couldn’t be simpler. Chester has their own brand of betting called The Chester Bet. You’ll find Chester Bet vendors throughout the racecourse. Close to every vendor you’ll find live information screens giving odds and racing positions for all the races. Staff are knowledgeable and will do all they can in aiding you to place your bet. 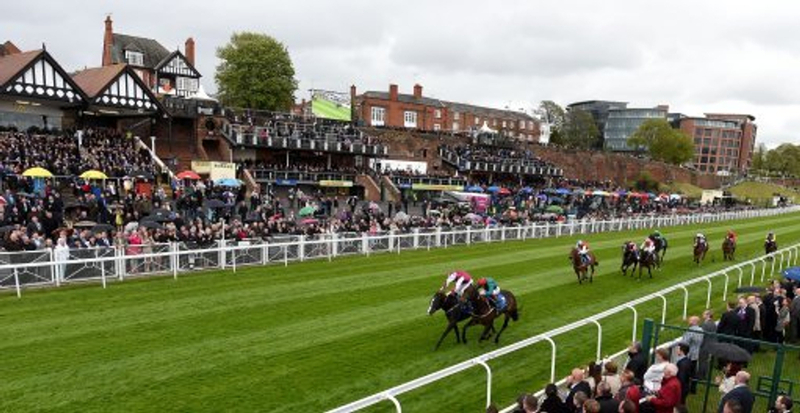 There have been some good winning bets made at Chester, a noteworthy winner was Harry Challinor, from Tarporley. Harry selected and won six of the last races of the day and won a Toyota GT86, worth a cool £24,000. Not bad, considering he won it on the back of a £2 bet. Bring a picnic to the course, there’s a lovely Open Course picnic area to enjoy. Remember a cooler, you’re allowed to bring a moderate amount of fizz, or ale, with you into this area of the course. You can also park within the Carpark Picnic Area and Gazebos are often erected, adding to the carnival feel. Once in the Open Course, walking in alcohol is not permitted and glass containers are not allowed. Though you can bring in your gazebos and picnics. You’ve a good choice of tickets when watching the horses at Chester. There are seven enclosures in total and pre-bookable private hospitality and restaurant packages available. Prices are dependent on the event but enclosure tickets start at the lowest figure, usually from £10 on the Open Course. Tickets can go up to £90 for The Winning Post Enclosure. Situated just on the banks of the River Dee, it occupies 65-acres of lush land.Car parking is available but a first come first served policy is in place. So, arrive early and purchase in advance when booking your tickets.